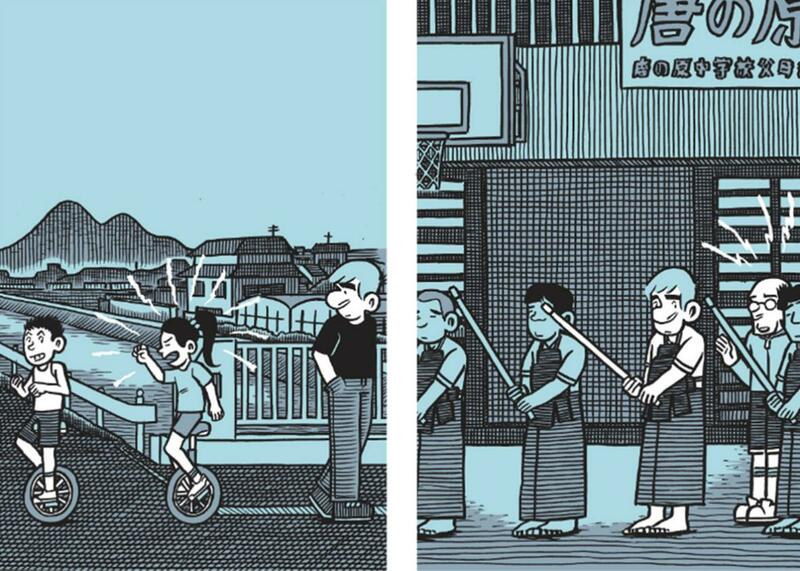 Lars Martinson’s comic Tonoharu: Part Three, reviewed. An American tries to connect in rural Japan in the conclusion of Lars Martinson’s ambitious, beautiful Tonoharu trilogy. For cartoonists, style can really be destiny. Artists whose drawings are loose or informal often can produce work more frequently than artists whose styles are more careful or refined. And the stories those artists tell often are suited to the style they use; a cartoonist who draws intuitively and off the cuff, like Lisa Hanawalt or Dash Shaw, might feel more free to explore odder or wilder ideas, happy just to see where they go. Meanwhile cartoonists like Richard McGuire or Chris Ware, whose work is more formally intricate, might well draw stories that depend on (and interrogate) careful structure and form. Lars Martinson’s detailed crosshatchings certainly fall into the second category, and with the final volume of his trilogy about an American expat in rural Japan, Tonoharu, he demonstrates the kind of work that can result from an embrace of a time-consuming, almost stiff cartooning style. The first volume of Tonoharu, about an American who teaches English in the town of Tonoharu and struggles to connect, was published in 2008; now, almost a decade later, the final volume resolves, through a set of carefully organized flashbacks, the mysteries that volume presented readers. Why does Dan leave his post after only a year? What changes with his onetime girlfriend Keiko? And what connects the other Americans in town: the kind arts patrons, the temperamental painter, his estranged brother? It’s a complex story but one that Martinson finds the still center of, thanks to the elegant, careful framing of his hundreds of images, each reminiscent of age-old Japanese etchings. The byzantine unspoken regulations of Dan’s school; the social codes he violates unthinkingly; the language and cultural lines across which his students struggle to connect: Martinson’s small, beautiful panels delineate all those invisible barriers clearly and empathetically. The conclusion of Tonoharu represents the end of a labor of love, a signature work in the past decade of comics, and a touching and satisfying reading experience. Tonoharu: Part Three by Lars Martinson. Pliant Press.